Check out what our satisfied customers have to say about our work. Save money with our special offers. Get your coupon! Does your car need service or repair? Contact us now! At Quality Plus Automotive Service, our mission is your safety. We are proud to offer affordable and effective repairs that prevent future breakdowns and preserve the value of your vehicle. At our facilities, we perform our services on any Japanese vehicle. Our experienced and dedicated staff is committed to honesty and technical competence. When you choose to work with us, you can be confident that your expectations will be met and exceeded. We prioritize your satisfaction and safety. As a family-owned and operated independent Japanese auto service facility, we are fully equipped to handle any service or repair to your new or used vehicle. We are fully equipped to service all makes and models, and specialize in hybrid/electric vehicles and Japanese cars. Our employees are trained mechanics and technicians who have a complete understanding of the latest technology in the automotive industries. Through ongoing schooling and training, we have enabled our staff to deliver you the highest quality services possible. We get the job done right at a reasonable price. Upon retaining the assistance of our qualified staff, we can maintain your oil changes, tire rotations, and air pressure adjustments. Throughout your vehicles scheduled maintenance periods, our technicians can stay on top of your automobile's needs. We also offer electrical diagnosis, complete overhauls, timing belt, brake, hose, tune up, and more services. Our staff will help you resolve all of your car's maintenance, service, and repair needs. Check Out Our Monthly Special for Great Deals & Prices! 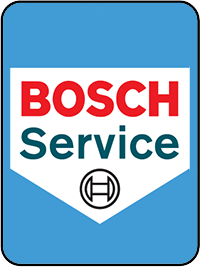 A Bosch Service Center must pass a rigorous certification process, based on technical skill, customer service, and facility design and appearance. 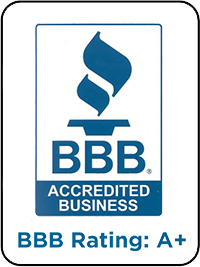 Accreditation from the Better Business Bureau means that our company is trusted by consumers because of our commitment to honesty, the truth, transparency, and integrity. We have ASE Certified Master Auto Technicians at both locations. According to the Magnuson-Moss Warranty Act, you are not required to go to your dealer for your regular scheduled maintenance. We strongly advise you to enlist the quality services of our independent repair shop for all of your automotive needs. This will not void the warranty with your dealership. Just keep all of your receipts in order to prove that your vehicle is up to date on required maintenance! We will help you get your services done on time. We even provide customers with a shuttle service if they need it. Our doors are open Monday through Thursday from 8:00 AM - 5:30 PM, and Fridays from 8:00 AM - 5:00 PM. Contact Quality Plus Automotive Service Today! Sign up to get interesting news & updated delivered to your inbox.